Great news Vegan’s! 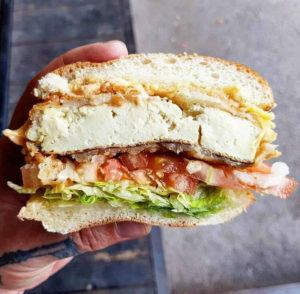 Original Patty Men have released a new vegan burger and it sounds amazing, a 100% plant based burger made with a pickle brined crispy tofu patty, mmm yes! Shut up and take my money OPM! 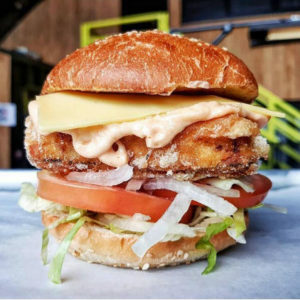 It also comes with Sririacha mayo, cheese and lettuce tomato and onion, yes please! Here’s a picture of what this incredible sounding burger looks like. Original Patty Men are based in Digbeth, Birmingham which is about a 10 minute walk from Birmingham New Street train station. The burger was released on 30th October 2018, have you tried it yet? let me know what you think of the burger in the comments.. I’m get to have a chance to try it for myself.